Online customer reviews are becoming increasingly influential to anyone who owns a business. From Trustpilot to Angie’s List, Growing Reviews to Yelp, clients are sharing their experiences on almost everything, and their reviews can have a lot of impact on your small business. Nowadays, a single Google review has the capacity to grow your business far more than a mere Google Ad. According to the recent survey conducted by Zendesk survey, around 90% of clients claim that the positive reviews influence their buying decisions, and 86% claimed negative reviews influence their decisions. A small business can be scuppered by just one or two negative reviews. The most efficient way to neutralize the few negative client reviews is to load up the rave review by encouraging your happy customers to take some of their time and write about their experiences. Below are some valuable tips you can use to help the small business get online better online reviews from your clients. You need to determine all the sites that are relevant to your business: Trip Advisor, Yahoo Local, City Search, Google Local, Yelp, LinkedIn and Angie’s List. Don’t feel complacent if you are not in a review-centric sector like hotels or restaurants, the review sites like Trustpilot and TrustLink can be of great importance to you. If you want to find out the best way to increase the number of reviews for your small business, just ask. Your customers are acutely aware of how important their review is to your small business, and, provided you offer an excellent service or product, they will always be willing to write a review. 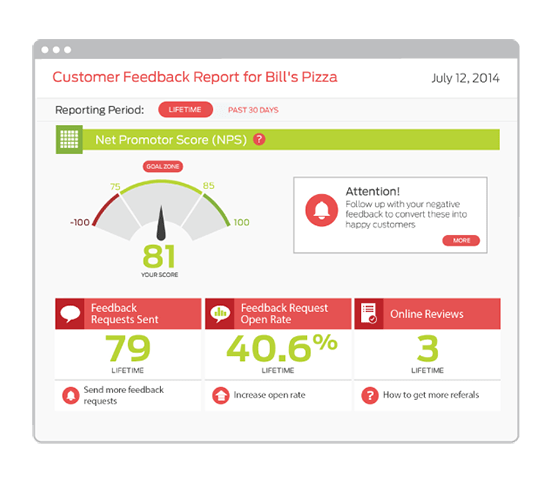 Always request that your customers leave feedback on one of your target review sites whenever they compliment your business via a phone call, email or in person. Leverage on positive sentiment when you receive it. Excluding when a client has a negative experience to share, customers rarely look for ways to leave a review for your small business. It is, therefore, important that you send them links to review forms, and even incentivise them with discounts. Reduce the barriers for them and they are more likely to help you shine online. You need to thank every customer who has posted reviews about your product or service; comment on the review site if the review site allows it. This act will help to transform a satisfied client into an incredibly loyal evangelist. It is important to ensure that all of your sales employees and customer service team understand the benefits of soliciting reviews from the customers they interact with on a daily basis. Come up with a bonus program to help motivate your sales employees or customer service personnel who source positive reviews from their clients; this is undoubtedly one of the most efficient way you can spend your marketing money. The review sites mentioned below are so popular that you’ve probably heard of them all or even used some yourself. The public is becoming more and more dependent on such sites for information about how good or bad a business really is. If you want to give your business a quick online reputation audit, then start by checking out how your business fares on these sites. Consumers today frequently visit industry-specific websites where they can read reviews about particular products or services. For example, travelers who are searching for a hotel may visit TripAdvisor.com, while a car accident victim may use Avvo.com to find a local attorney. You should find the sites that are specific to your niche and make sure to optimize the profile and engage users. We will be posting specific industry related review sites in the future, be sure to check back or sign up for our newsletter. Did you know that customer satisfaction ratings featured on your website can actually be displayed as star-ratings on the SERPs? When coded with “review schema”, which is a markup code that helps search engines understand the content on your site, your website may stand out more. 1). Engage with people that leave reviews. Get in the habit of letting them know that you value and appreciate their honest opinions even if you don’t share them. Answer as many reviews as possible, good or bad, and it will go a long way with your customers. 2). Don’t panic if there are some reviews posted which are less than stellar. No company is perfect, and no one expects them to be. Instead, use any criticism as a learning tool for improving your business and when possible follow up and see if you can address the problem. Studies have proven customers are more satisfied with a company in which there was a small issue and the issue was resolved, compared to if there was never one in the first place. 3). Never write fake reviews. Most of these platforms have created sophisticated algorithms that are designed to catch review fraud. That being said, it is simply not worth the risk of being banned, and could severely damage your reputation in the eyes of users if you’re caught. Don’t forget, there are legal problems that could arise through the abuse of review sites. 4). Don’t be afraid to ask satisfied customers to review your business. Studies have shown that many customers would be happy to, if reminded.